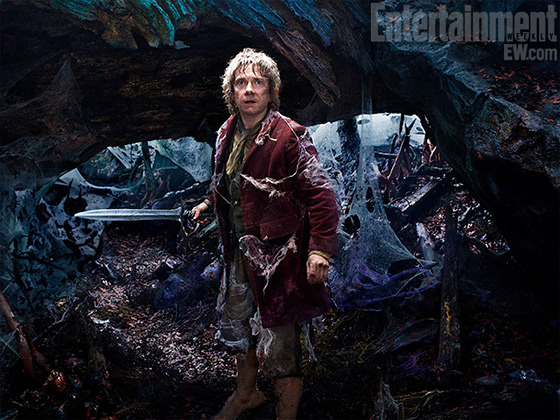 Entertainment Weekly has a fresh set of pictures from the set of The Hobbit, gearing up for the Comic-Con this summer, where The Hobbit will pretty much be the guest of honor. 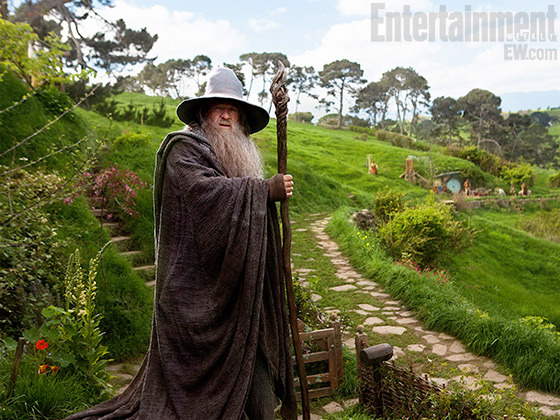 Having just reread The Hobbit this weekend for the first time in ages, and then having rewatched the extended versions of the three films (again, in ages), I have some fresh thoughts on this. 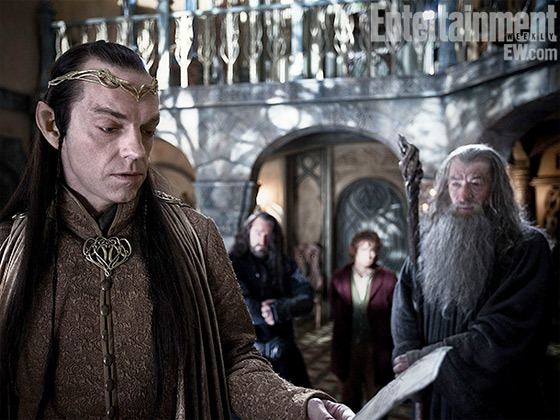 One, a massive amount of characterisation is going to be needed to fill in the dwarf characters. Even Tolkien himself got fed up with having thirteen of them (a number of mythological importance, not narrative), using Fili, Kili, Balin, Thorin and Bofur for everything. I'm honestly surprised that more of them didn't die at the end through sheer lack of being there. They aren't characters, and much will have to be added to make them so in the films. Second, as to the break. Much has been said on the matter of where the films might break in two. Many have suggested after the dragon attack, thus giving each film a big action thing to support itself. I argue back further. The most natural separation, to me, was right after the barrel escape. That gives film one Rivendale, trolls, orc tunnels, spiders, wargs, and elves, plus whatever Gandalf and the White Council will be getting up to in Mirkwood. Not to mention, what will no doubt be the crown jewel of the piece, the finding of the ring and the riddles in the dark. The escape from the elves, floating the barrels down the river, provides a natuarl eb, as it were, to end the film as Bilbo clings to his makeshift raft, floats around the bend and sees the Lonely Mountain for the first time. 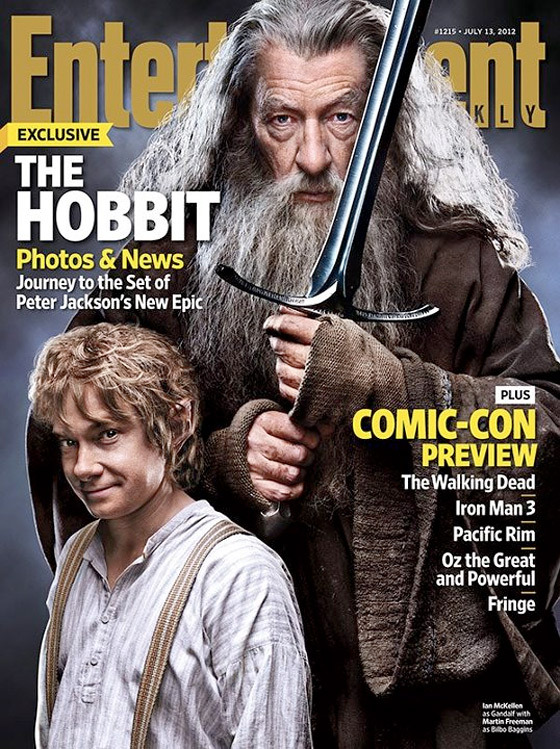 That leaves the second film with men (including Stephen Fry's Master), the dragon Smaug, and the barely mentioned int he books, but expected to increase significantly in the film War of Five Armies. And lets be honest, we are fools if we expect these to be short films. And I think cramming everything up to the dragon into one film, and then leaving only the war in the second is filling one boot too full, and the other not full enough. The whole of the Return of the King couldn't have just been the assault on Minas Tirith, no more then the Two Towers could have been exclusively the battle for Helm's Deep. 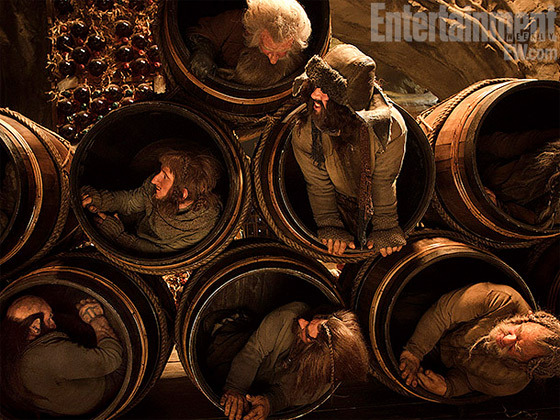 Hit the jump for more pics, including barrels, elves, and spiders. the sword might have been 'swatter'. barrelled and stored for several years. Oak barrels preferred.